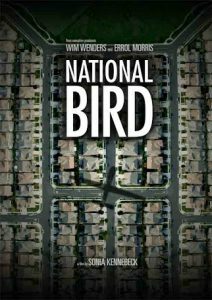 The award winning documentary “National Bird” — which is now airing on PBS stations — is available for a limited time online through PBS. The following can be reached for interviews via Cara White, cara.white [at] mac.com. Ling is a former technical sergeant on drone surveillance systems, grew up in California and initially joined the military as an army medic and nurse. When it became apparent that she was adept with computers, she transferred to a combat communications squadron, which later became an intelligence squadron. Her final deployment as a technical sergeant was to Beale Air Force Base, California, where she worked on the Distributed Ground System (DGS), a weapons system that makes use of drones to collect vast amounts of data to find and kill targets. Like other whistleblowers featured in the film, Ling had a top-secret clearance.